one of our previous clients has instructed us to design a residential replacement for an existing garage building at the back of residential properties in croydon. 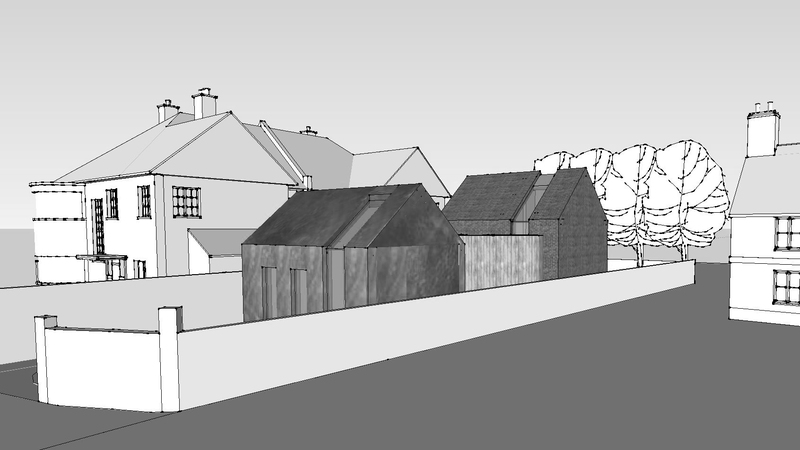 we are proposing a detached two-storey building with two double pitched wing buildings connected by a flat roofed middle section with separate access from the main road. whilst kitchen, dining, living and a bedroom/study are accommodated at ground floor level, all other sleeping accommodation is located in the new basement. the rear structure is slightly taller to house a single study at loft level, whilst the roof space of the front wing will be part of the upper bedroom space.